Introduction to Power BI, taught by me, September 25th-27th – a three day course covering the basics of Power BI suitable for BI pros and business analysts with no previous experience of the product. Database DevOps, taught by Alex Yates, September 25th-27th – a course for DBAs, developers or anyone who plays a role in writing, testing or deploying changes to SQL Server. Practical Data Science with Cortana Intelligence, taught by Rafal Lukawiecki, November 6th-10th – an introductory course for budding data scientists covering theory and how to apply it to Microsoft tools including Azure Machine Learning and SQL Server 2016 R Services. Mastering DAX, taught by Alberto Ferrari, November 27th-29th – a three day introductory course that will teach you how to write DAX calculations and queries in Power BI, Power Pivot and Analysis Services Tabular. Optimising DAX, taught by Alberto Ferrari, November 30th-1st December – learn about performance tuning DAX from one of the leading experts in the field! All of the courses are in central London. In the first two parts of this series (see here and here) I showed how Power BI/Power Query/Excel Get & Transform’s data privacy settings can influence whether query folding takes place or even whether a query is able to run or not. In this post I’m going to talk about the situations where, whatever data privacy level you use, the query will not run at all and you get the infamous Formula.Firewall error. I’ll admit I don’t understand this particular topic perfectly (I’m not sure anyone outside the Power Query dev team does) so what I will do is explain what I do know, demonstrate a few scenarios where the error occurs and show how to work around it. As you can see from the screenshot, the query runs. In fact it runs whatever data privacy settings you have set on both the data sources, although it’s worth pointing out that if you use your own SQL in an M query (as I do in this case) this stops query folding in all subsequent steps, as described here. Formula.Firewall: Query ‘DimDate With Native Query Single Step Fails’ (step ‘Source’) references other queries or steps, so it may not directly access a data source. Please rebuild this data combination. 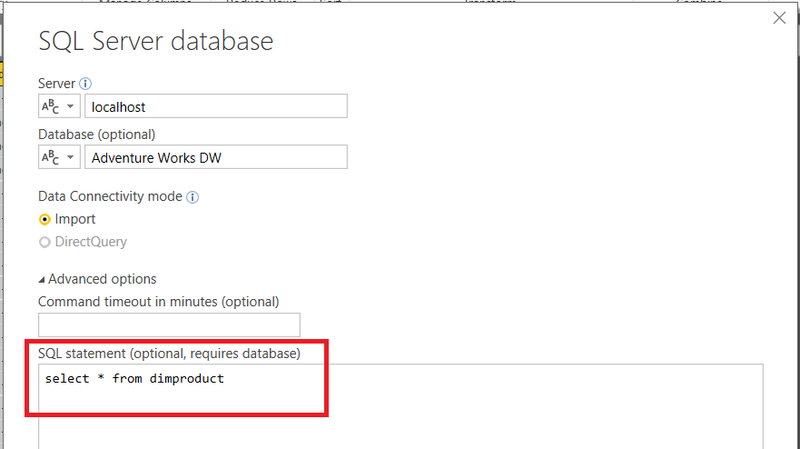 The problem here is that the Power Query engine is not allowed to access two different data sources originating from different queries in the same step – as far as I understand it this is because it makes it too hard for the engine to work out whether a step connects to a data source or not, and so which data privacy rules should be applied. 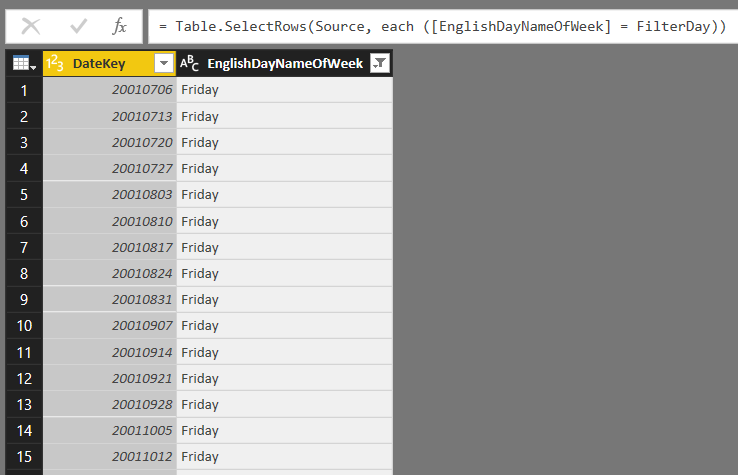 EnglishDayNameOfWeek='" & FilterDay & "'"
In this example I’m dynamically generating the SQL query that is being run and passing the name of the day to filter by into the WHERE clause. 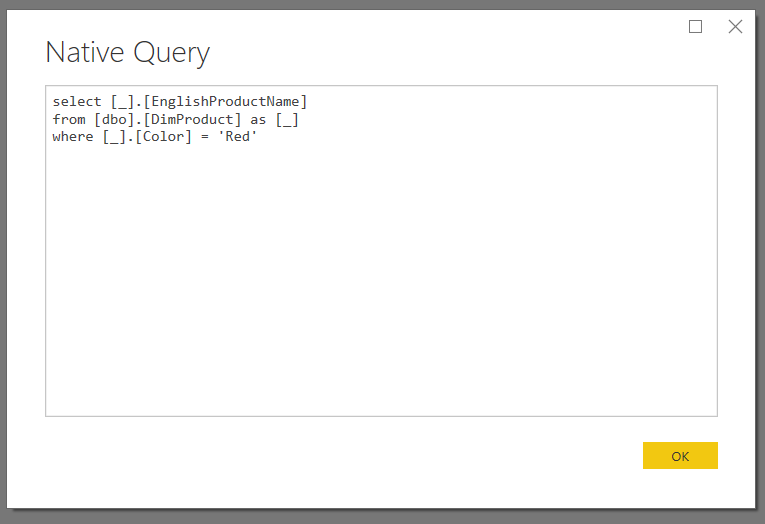 In the two previous examples the query that was run had no WHERE clause and the filtering on day name took place inside Power BI – in this case the filtering is happening inside the query, so in order to generate the WHERE clause I have to refer to the value that the FilterDay query returns in the same step. Therefore, this query also gives the same Formula.Firewall error seen above. EnglishDayNameOfWeek='" & DayAsStep & "'"
Then the query runs successfully. Clearly the M engine doesn’t get confused about accessing data from different sources in the same step if those data sources are created in the same query. Of course you can avoid the Formula.Firewall error and make query folding happen as often as possible by turning off data privacy checks completely in the Options dialog. This will be the subject of the next post in this series. Melissa has already blogged about the white paper here. Topics covered include the different ways that Power BI can be deployed (as a self-service BI tool or as a corporate BI tool); licensing; preparing data for use in Power BI; choosing a data storage mode (import vs Live connections to SSAS vs DirectQuery); data refresh and the on-premises gateway; best practices for report development; collaboration and sharing (covering apps and content packs); options for consuming reports and data published to Power BI; and security, compliance and administration. If that sounds like a lot, it is: it’s 105 pages long! It was a real pleasure working with Melissa on this, and I’d also like to thank Meagan Longoria for reviewing it. I’m also extremely grateful to Adam Wilson and an army of Microsoft employees for providing information, answering our questions and correcting our mistakes. You can choose a table from the database and then either use the Query Editor UI or write some M to get the data you need from that table. For example, you might choose a table that has one row for every product that your company sells and then, using the UI, filter that down to only the products that are red. You can enter a SQL query that gets the data you need. Something that you might not realise is that if you choose the second option and then subsequently use the UI to apply even more filtering or transformation, then those subsequent steps will not be able to make use of query folding. 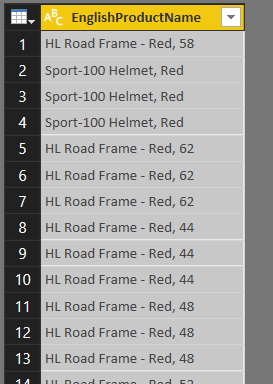 It’s pretty clear that query folding is taking place for the filter on “red” and for the selection of the required column. 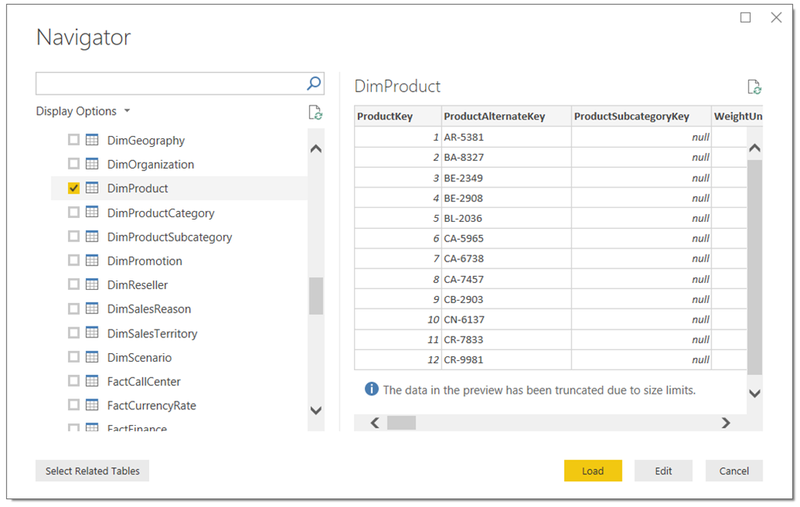 The query you enter is run and then Power BI applies the filter and selects the column itself in the resultset that the SQL query returns. This obviously has big implications for performance. 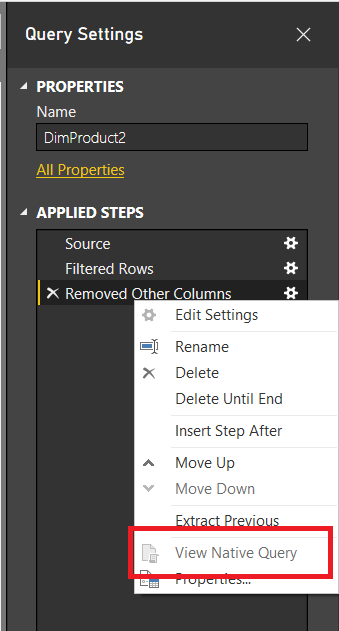 The lesson here is that if you’re going to write your own SQL query in the Query Editor, you should make sure it does all of the expensive filters and transformations you need because anything else you do in the query will happen outside the database in Power BI or Excel. 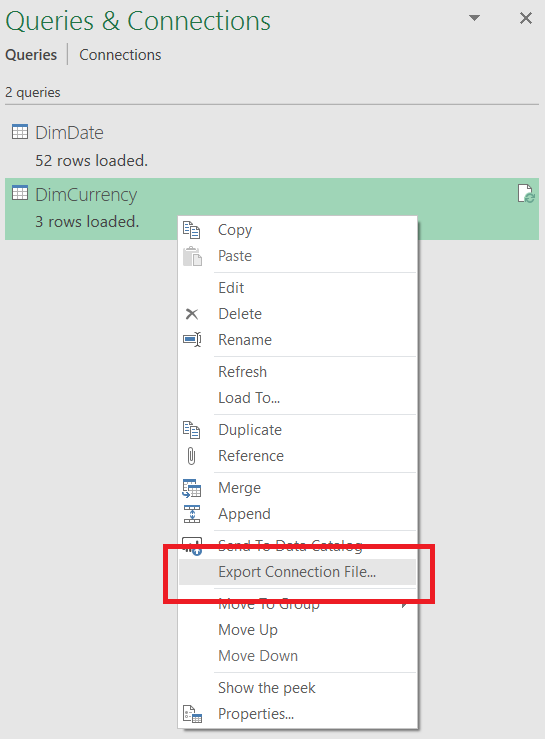 A really useful new feature was added to Get & Transform (the functionality previously known as Power Query) in the latest updates for the Office 365 click-to-run version of Excel 2016: the ability to export and import ODC files containing M queries. This makes sense given that Get & Transform is the new default way for loading data into Excel, but it’s nonetheless very welcome. …and after that you can import the ODC file in the normal way when you want to create a new connection. 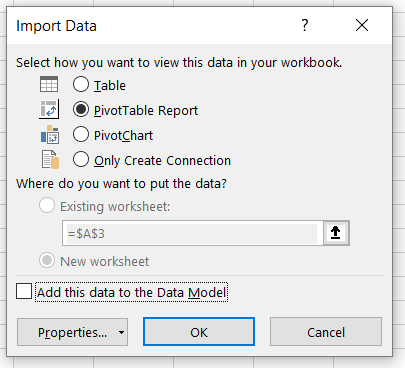 Power BI Desktop should be able to import and export ODC files in this format too: it would make it much easier to reuse queries. Vote here if you agree. 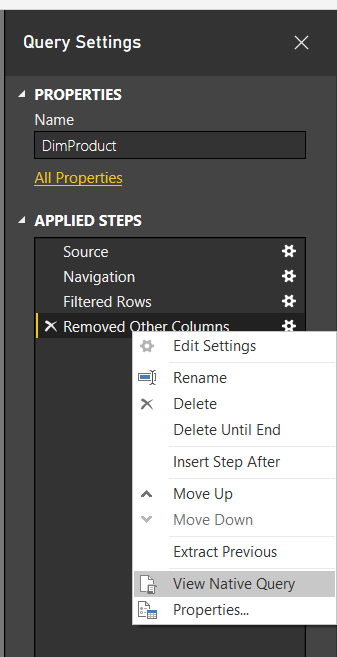 Power BI should have a central repository for Power BI and Excel users to store these ODC files for easy sharing and reuse by report developers. It’s a shame that the Azure Data Catalog integration with Excel/Power BI hasn’t had any love recently because that would have been the obvious place to create such a repository. We also desperately need some kind of source control for M queries inside Excel and Power BI (not quite the same requirement as the previous point). I know a lot of people are doing this manually with services like Git, but I would love to be able to check my code in and out directly from the Query Editor.